Most developing countries are experiencing declining manufacturing capacity manifested by lack of growth and diversification. This challenge is more prominent for LDCs whose share of global exports remains very low at about 0.98%. At the WTO, the Trade Related Investment Measures (TRIMs) agreement provided for an interim period during which members could maintain investment measures aimed at promoting their manufacturing and industrialization efforts. At this meeting, East African delegates to the WTO discussed the way forward for amendments to the TRIMs agreement proposed by developing countries so as to allow for policies to promote accelerated industrialization. Most developing countries, especially the least developed countries (LDCs), are experiencing declining manufacturing capacity manifested by lack of growth and diversification. This challenge is more prominent for LDCs whose share of global exports remains very low at about 0.98%. It is on this premise that the Sustainable Development Goal (SDG) 9 calls for promoting inclusive and sustainable industrialization to address this critical issue. 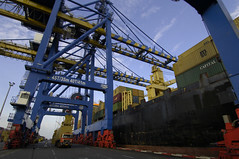 In the WTO, the Trade Related Investment Measures (TRIMs) agreement provided for an interim period during which members could maintain investment measures aimed at promoting their manufacturing and industrialization efforts, irrespective of other WTO obligations; however these were to apply during a transition period. Presently, in the context of the forthcoming WTO Ministerial meeting, developing countries and LDCs propose amendments to the TRIMs agreement so as to allow for exceptions to TRIMs, and in the case of LDCS, a permanent derogation from TRIMs obligations, which would allow them to pursue policies to promote accelerated industrialization and socio-economic transformation. It is in the above context that country update notes were prepared to capture stakeholders’ views from the East Africa Community (EAC) with respect to the significance of TRIMs in promoting industrialisation in the region. In addition CUTS International, Geneva prepared an issue note on the TRIMs. The country update notes and issue notes formed the basis of deliberations by the EAC Delegates to WTO in Geneva. Delegates expressed their appreciation and re-affirmed the need for the EAC forum, which provides direct updates from stakeholders in the region on topical issues such as TRIMs.